I have been to Amsterdam in the Netherlands many times both for business and for pleasure. Unless I am attending a conference based in a different hotel, my favourite place to stay is always the Park Plaza Victoria Amsterdam Hotel. My husband treated me to a holiday here for my birthday one year. It is so central. When I come out of the Centraal Train Station, I can see the hotel across the square. It is very convenient, spotlessly clean and the staff are always welcoming and polite. Their aptitude for languages is daunting too! 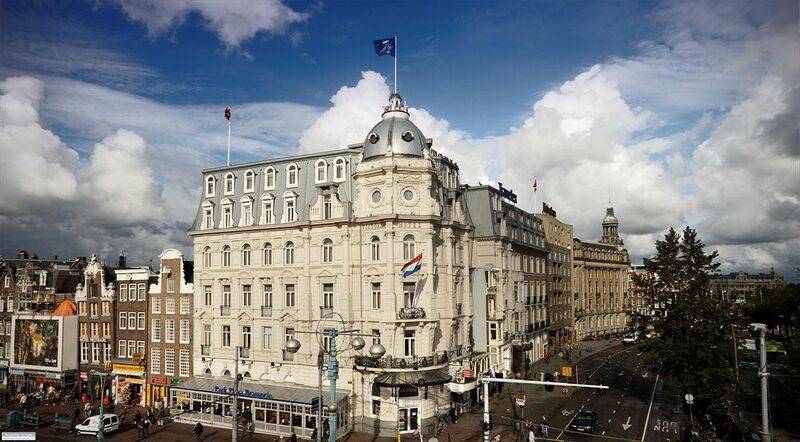 The Park Plaza Victoria Hotel is ideally located for the business districts and the premium shopping areas of Amsterdam. It enjoys a prime central location at the north end of Damrak, a 3-minute walk from Centraal Station. Buses depart from directly across the street, and trams leave from outside the station, a 2-minute walk away, for easy access to the rest of the city. Also, boat tours of the city’s canals leave from jetties located a 2-minute walk south along Damrak. A further minute on foot will bring you to the beautiful Amsterdam School Beurs van Berlage exhibition hall, and Dam Square is 2 minutes further away. The hotel’s well appointed rooms are situated in the historic and modern parts of the hotel. Rooms are accessible for those with mobility problems and accommodation benefits from a modern air-condition and heating system. The hotel amenities include free Wi-Fi, television, work desks, movies on demand, a business centre, a fitness centre and a pool. I have never used the fitness centre, but my daughter tells me that it is well- equipped. She enjoys using it. I prefer to unwind in the indoor pool, or visit the Finnish sauna or to enjoy drinks in the Lobby Lounge. Breakfast at the Park Plaza Victoria Amsterdam Hotel is delicious. It comprises a varied hot and cold buffet. For lunch or dinner, the hotel Brasserie serves a range of international dishes, although there are a wide range of restaurants and cafes in the vicinity of the hotel because of its position. This centrally located hotel is my ideal choice when staying in Amsterdam.